Does This Product Require a Safety Data Sheet? 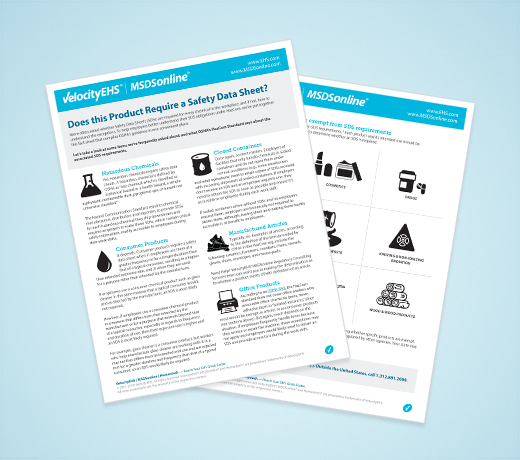 Download our complimentary guide to see which chemical products needs a safety data sheet (SDS). One of the most frequently asked questions during our HazCom webinars and conference talks is “how do I know when I need to have a safety data sheet (SDS) for a chemical product?” In response to EHS stakeholders like you, we’ve put together this handy guide to give you the information you’ve been looking for!